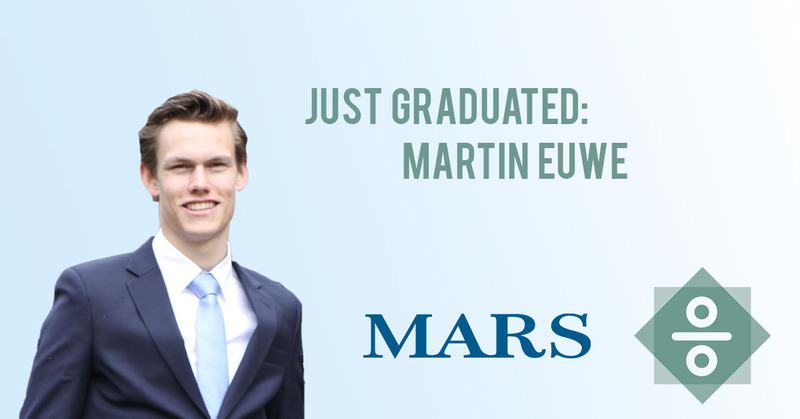 Martin Euwe, Finance trainee at Mars, tells about his student life, the choices he made and how he experienced this. Can you tell us shortly about your student career? After my high school I took some time to travel before I went to study at Tilburg University. I went backpacking in Central America, where I lived at host families for three months in order to learn the Spanish language. After that, I continued my travels in Southeast Asia. Looking back, this was a most cliché trip. Besides some minor side-trips I followed the standard backpackers trail and became part of the backpackers-caterpillar. Due to my contact with other backpackers and locals, it still was an amazing trip. When I returned, I went to Tilburg University to study Business Administration. In the third year of my studies I went to Buenos Aires to do a minor in Finance whilst further developing my Spanish language skills. Back in the Netherlands, I became a board member of study association Asset | Accounting & Finance, and later started a master’s degree in Finance that I completed in august 2017. A week later, I started my working life as a Finance Trainee at Mars in the picturesque Veghel. What was the reason you chose to study Finance? Even before I enrolled for my bachelor Business Administration I knew that I’d eventually choose for a master’s in finance, but the fact that I was so certain of this made me doubt what it was based on. I was interested in financial markets from an early age and didn’t understand how it was possible to make such easy money investing (NB: the gross of long-term stock-/index-graphs go up). I would look at a stock and say to myself “Imagine you had bought this stock 5 years ago, then you’d have made a 3000% profit by now”, which is nonsense of course. Fortunately, Finance is a lot broader than just financial markets. Finance is at the foundation of every company. Not a single company can realize short- and long-term goals if the finances aren’t clear and in order. If you want to know how a business is doing, you look at the balance sheet and the profit and loss account, which are both ‘guarded’ by Finance. I think this was my main reason to choose finance; It starts at the beginning and gives a complete view of a company. I recently heard the following definition of the profession of accountant that fits what is mentioned above: “The person in any business enterprise most likely to know what is actually going on, and least likely to be able to do anything about it”. If you work in Finance (Accountancy is a part of Finance), I think you indeed have the purest and most complete image of what is going on in a company. You see precisely how the money is made and spent. I’m not a die-hard accountant and I get most energy from brainstorming about strategy and cooperating with other teams from different disciplines. Business Control was the solution for me as this job makes the exact bridge between strategy and hard numbers. About half of my time I’m purely working with the numbers, whilst the other time I’m cooperating with other disciplines to translate the numbers into actions. During your student life, you were chairman of study association Asset | Accounting & Finance. How did you experience that time, and would you recommend other students to become active? There are hardly any days during which I don’t think back at my year as a board member. Not only because it was a fun year, but also because I use or try to use learnings that I have picked up during my board year daily. Do I recommend a board year or becoming active at a student association? That totally depends on the development needs of the person. As a student, you have a broad range of options to develop yourself. The most important thing is to take those opportunities and look for something that suits you best. For me, this was Asset | Accounting & Finance, because they have the right balance between an informal drink from time to time and the drive to set up great professional events. Why have you chosen for Mars and can you briefly explain what your job incorporates? There are multiple reasons why I think Mars is a great company. The first thing that stood out for me was the family culture that amongst other things expressed itself in a down-to-earth attitude amongst all people I spoke during the In-house event. During my board year I visited over 25 companies. Sometimes I was startled by interns or first-year employees that proudly told about when they had to work through the night. Opposed to that, Mars puts an emphasis on professionalism and values a healthy working culture. Besides that, the FMCG-branch was really appealing to me because it is so tangible. I eat lunch nearly every day in the canteen of the biggest chocolate factory in the world. Behind the glass I can see the assembly line with chocolate bars for which we made an optimal price strategy that morning. What does your traineeship look like? The Mars Finance Leadership Experience (MFLE) consists of a three-year program where around seven to twelve trainees start globally each year. The traineeship is completely centered around personal development. There is broad support in the form of trainings and interviews with a mentor to make sure your learning curve is as steep as possible. In my first assignment I ‘co-piloted’ the Dutch chocolate- and petcare market. I mainly worked together with sales and marketing to come to an optimal product and customer portfolio. At an average working day I was working on questions like ‘What is the right price for innovation x?’, ‘What is the optimal promotion strategy for M&M’s 300 grams?’ and ‘What grammage do we play at which customer?’. During that time, I assisted in launching products for amongst others Cesar and Pedigree. These are products that I buy in the supermarket for our dog. This tangibility is what I really like about working at Mars. Two weeks ago, at the beginning of the second year of my traineeship, I started a new assignment in Prague. I live and work there from September 2018 until September 2019. The headquarters for Mars Central Europe (Czech Republic, Slovakia, Romania and Hungary) is in Prague. Mars is growing very strongly, resulting in more room to invest. My responsibility lies amongst other things in identifying investment projects that are expected to bring growth in the future. Do you have any advice for the current generation of students? Certainly: take it easy! In the year I did my master’s degree, there were so many achievers, including myself indeed. I have seen people’s mental and physical condition fall prey to that mentality. People around me were dealing with so many stress complaints, being overworked and unfortunately even burn-outs. It is completely ridiculous that students and starters, people that should be in the bloom of their life get serious chronical mental and physical conditions because of self-imposed pressure. For what?! Yes, social media make happiness and achievement into a competition, and yes, the sky is the limit (and everything below is apparently under the limit). In the end, there is only one person responsible for your health, and that is yourself. That’s why I consciously use the word self-imposed. Of course, there are a lot of reasons which could justify the overwork of the father and with that the lack of time for his daughter on the short term, but it is about the underlying message. For many of us it is not an option to take a step back. We go on and on until we can’t sleep at night because we are endlessly thinking and the stress makes our bodies stammer. If kids at primary school structurally can’t finish their weekly tasks, they move to a ‘slower group’. For that six-year-old girl and her classmates this is very normal. At what age do we decide that this is no longer an option and do we put ourselves under so much stress that we succumb? I would say: If you structurally can’t finish your weekly tasks and you experience chronic stress from this, consider moving to a slower group. 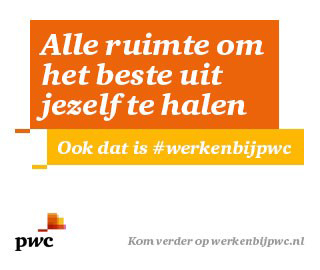 Dianne Hageman, currently trainee at KPMG, tells about her student life and how her choices she has made worked out for her.